This 14.6VDC, 10A AC-to-DC Charger, is an AC-to-DC charger for use in charging 12V LiFePO4 batteries. Using a unique integrated computer-control system, this battery delivers as much power as a 12V 200 Ah SLA and at one fifth the weight. The Lithium Battery has an integrated PCM (protection circuit module) which provides complete internal cell balancing, and integrated charge protection circuitry. Providing 2000+ charge cycles, 5-10+ years service life and 90% capacity discharge capability, this battery gives you more of everything making this the go to solution for any high power application. The battery also boasts no EMI/RFI (Electromagnetic Interference/Radio-Frequency Interference) and is absolutely quiet! Comes with built-in protection-circuit-modules (PCM) micro-computers that internally balance cells and provide protection from overcharge, overdischarge and short circuiting. This Bioenno Lithium Battery can be used for many uses including for solar storage. Used in: amateur radio, recreation, defense, surveillance, avionics, scientific equipment, communications, audio equipment, sound systems and everything in between. Each battery is individually quality checked at shipment. All batteries carry the True Lithium Capacity performance, ensuring what you see is what you get. A 10 amp Wall Charger is available for this battery. 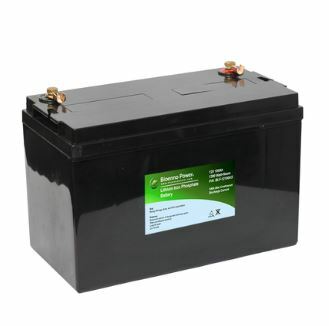 Please note that this battery should be charged using a LiFePO4 compatible charger, and not a charger for SLA batteries.